Cinemablographer: Oscar Predictions: Final Round - Let's All Go to Zubrowka! I think the strong show of support for The Grand Budapest Hotel shows that despite all the courting, screeners, and noise, people simply vote for the films they love. Throughout the year, at parties and gatherings with film friends and with peers who have little interest in film, The Grand Budapest Hotel consistently brings a sparkle and a quick ‘YES!’ of agreement whenever I mention it. 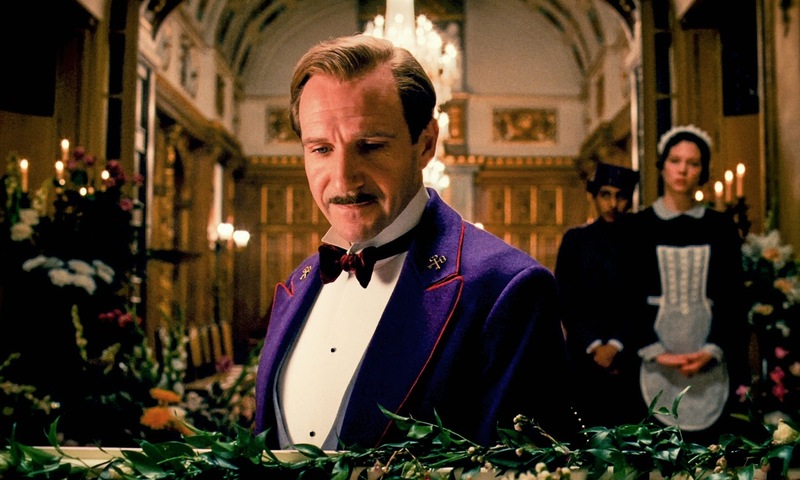 These people aren't Oscar voters, mind you, but, like one takes a sample for a survey or poll, the pockets of love for The Grand Budapest Hotel demonstrate that it’s a special little indie connecting with people who don’t generally go for smaller, artier, quirkier fare. It also helps that it came out early and performed well through strong word of mouth, sustaining its hype for almost a year by the time the Academy Awards are handed out in February. Most importantly, though, there simply isn’t anything like The Grand Budapest Hotel—nothing lighter, nothing funnier—to eat into the votes. Spillage, on the other hand, seems to be a problem for many of the films coming into the race at the last minute or on the heels of the festival circuit. Sniper on the other hand, is a giant question mark since Clint Eastwood’s films have been surprisingly cool with the Oscars lately. No love for Gran Torino, J. Edgar, or Hereafter, says that Mr. Eastwood might have earned enough Oscars; moreover, both Invictus and Changeling received fewer nominations than they could have and should have—the former of which is significant if one remembers that Invictus lost out on a Best Picture nomination to fellow sports pic The Blind Side! Clint scored a DGA nomination for Sniper, so that almost inevitable foretells a Best Picture nomination, but I honestly can’t see him scoring a Best Director nomination once again when his film has been little more than an underlying presence in the race and probably shares a pocket of fans with Angelina Jolie’s Unbroken. Like Selma, though, I think Eastwood’s film will find its way into the Best Picture race, but I think it’ll only garner some technical nominations on the side. A Best Actor nomination for Bradley Cooper seems totally random given the strong competition and a Best Adapted Screenplay nomination seems even less likely now that Whiplash is competing in the adapted field. If Selma and American Sniper are coming on strong, though, what films are they bumping out? Any vote gained for them is a vote lost for another film. Does Selma overlap with fans of riskier, auteur driven cinema like Gone Girl or are the fans of Boyhood firm in their preference for Linklater? (DuVernay's certainly garnering well-deserved notice as a distinct voice behind the camera.) Sniper doesn't seem to conflict with anything besides Unbroken, unless it could be a mainstream option for fans of films like Whiplash, Nightcrawler, and Foxcatcher, which have been doing well getting crossover appeal from arthouse fans and mainstream moviegoers alike. It’s a tough year to predict and I’ve never felt less confident in my picks, but whatever. Unpredictability is a lot more fun than an echo chamber. *I would be picking random titles for these two, although I think The Phone Call is in for Live Short. What are your final Oscar Predix?